The National Volunteer & Philanthropy Centre (NVPC), in partnership with the Singapore Business Federation Foundation (SBFF) and supported by the Ministry of Culture, Community and Youth (MCCY), launched Company of Good on 2 June 2016 as part of its vision to drive corporate giving in Singapore and to make “goodness the business of every organisation”. The Company of Good is set to help convert corporate non-givers into givers and encourage companies that already give to become multipliers and leaders of good. The launch was officiated by Ms Grace Fu, Minister for MCCY and attended by more than 200 Company of Good programme Partners, Founding Members, business leaders and corporate giving practitioners from various industries. 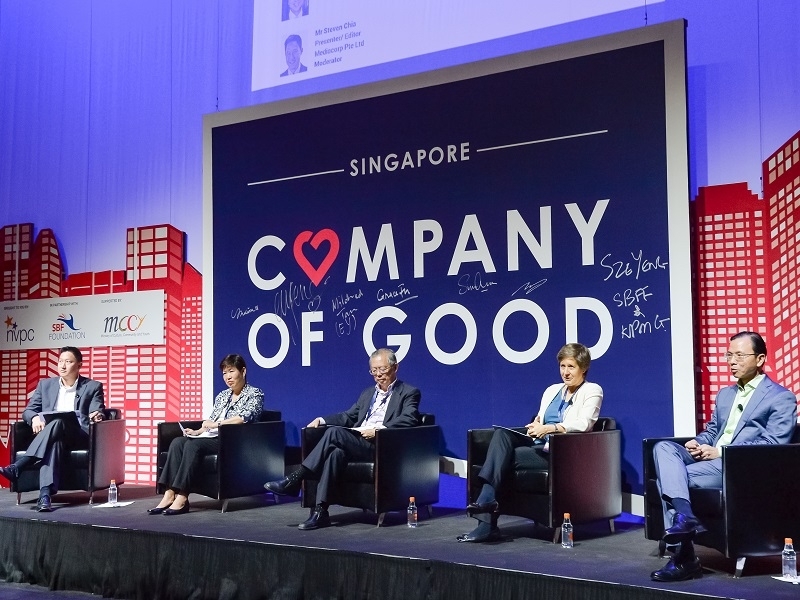 During the event, Ms Melissa Kwee, Chief Executive Officer (CEO) of NVPC shared insights on Singapore's corporate giving landscape. We offer our heartfelt thanks to all who were present at the launch.